I've got some parts for sale. 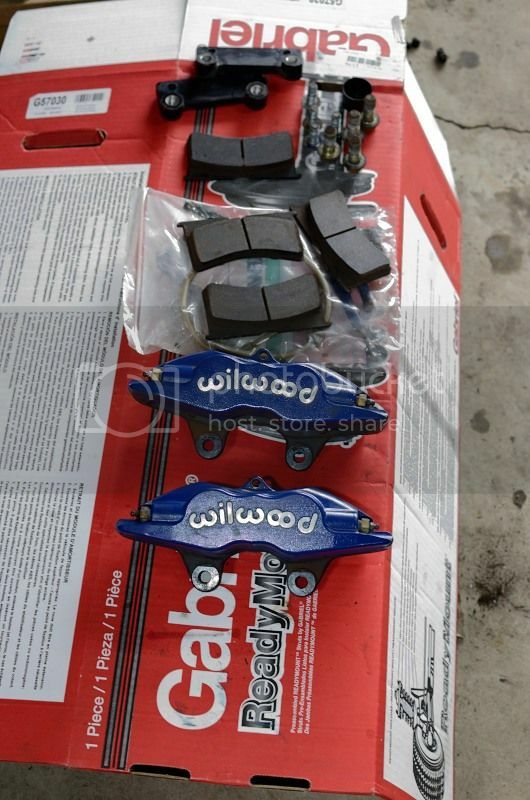 These are the Wilwood 4 piston calipers that were bought in the group buy. They include both calipers, both brackets, all bolts, the stainless lines, and the HAWK pads. These have about 12K miles on them. 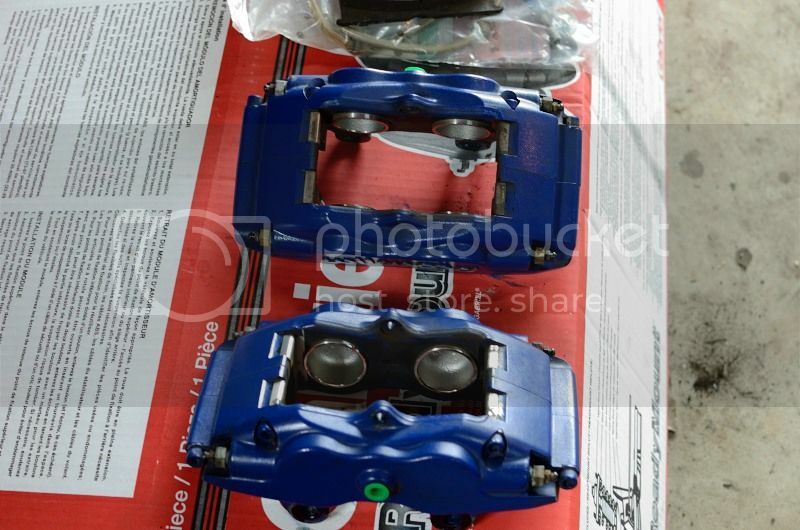 The calipers are powdercoated black, and I sprayed them blue with brake caliper paint. They've held up pretty well, but they could stand to be painted again....the stainless lines are covered in clear plastic. Parts of the clear plastic have yellowed, but there are no issues with the lines. I am asking $400 shipped. 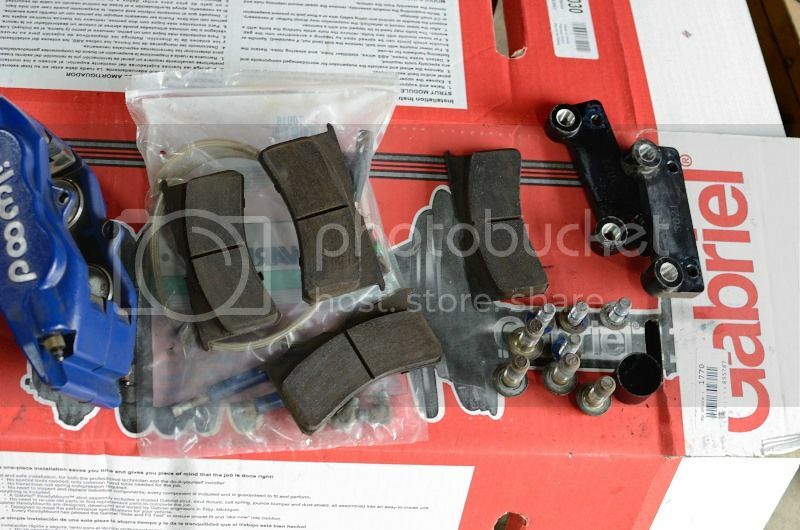 EDIT * 4/16/2013 * Brake kit sale is pending, and front struts are gone. 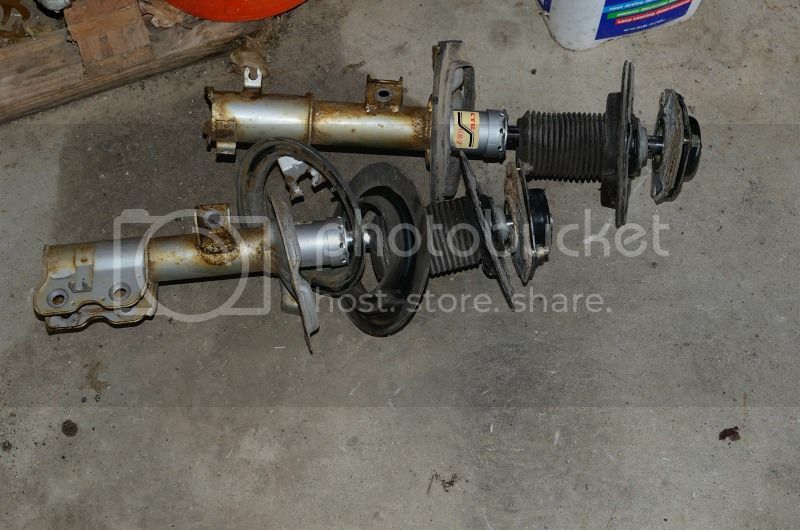 I still have the rear shocks...asking $20 picked up! The GR-2s have some surface rust on them, they were installed at the same time as the Wilwoods and have the same mileage on them. I would rather not ship the shocks/struts, as the shipping costs will quickly kill any deal. I'm thinking $50 for all 4 if anybody is able to pick them up. Last edited by 1hawaii50; 04-16-2013 at 07:21 PM. WOW THATS A FREAKING STEAL !! Pm sent on the struts & shocks. Those Wilwoods should sell quick...great price! You going all stock Don? crazy but asking anyway.. How much for just the SS lines? Not totally. I pulled the springs. I cut the bump stops for the lowering springs, and I think I was getting noise from my strut mounts. It was more cost effective/time effective to go with front quick struts than to swap everything over...I replaced the rear shocks with Gabriels so that they would match the fronts. As far as the brakes go, I just need to recoup some of the money I've shelled out for the accident and the suspension swap. I'm keeping the wheels, tail lights, and the grill. I'd rather keep it all together. OK, the brake kit is pending, and the front struts are gone. 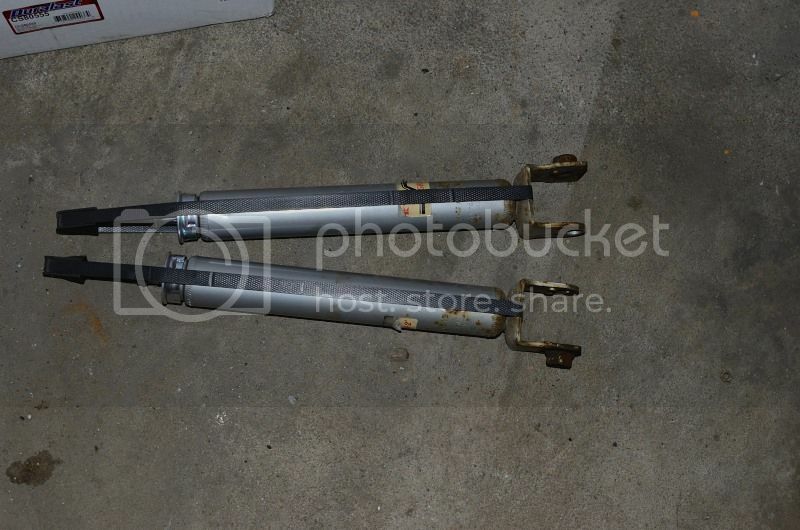 I've still got the rear shocks available...$20 takes them. I'd prefer not to ship as it would probably be another $20 for shipping. 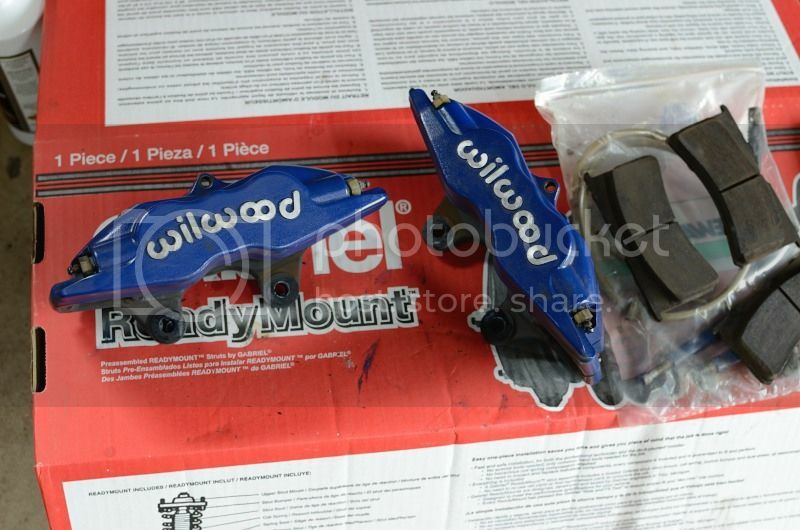 The Wilwood sale fell through...the Wilwoods and components are still available.